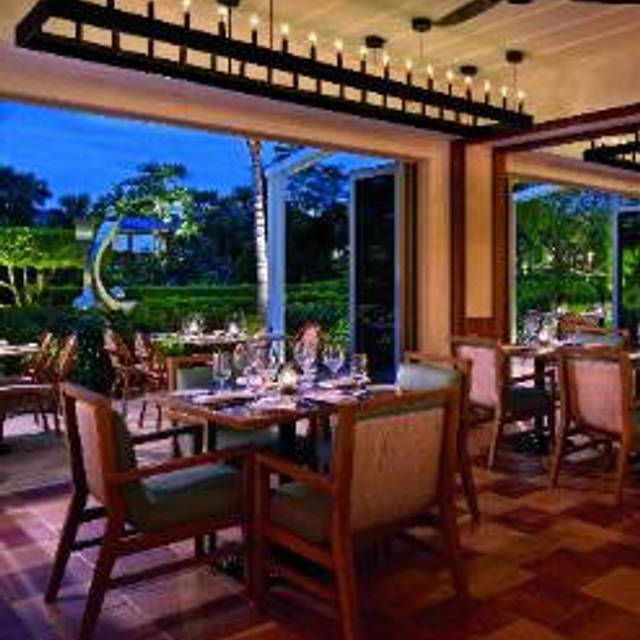 You must make reservations at least 5 minutes in advance of the time at Terrazza - The Ritz-Carlton, Naples. Complimentary Valet Parking; hostess will validate parking ticket. Touch of coastal Italy in South Florida. 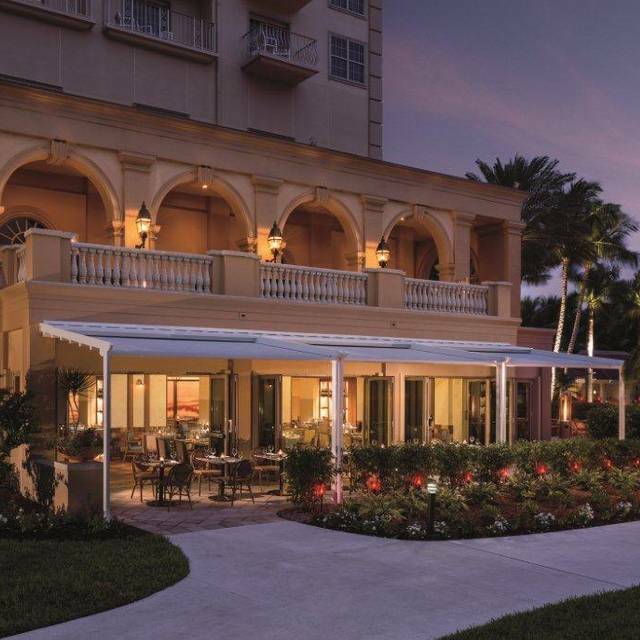 Bringing a touch of Coastal Italy to South Florida, Terrazza’s designed space features an open air terrace with floor to ceiling glass doors that reveal stunning preserve views and cool Gulf breezes. Enjoy outdoor seating to bask in the sunlight and sip on a morning coffee or partake in indoor seating, where the views are just as phenomenal. 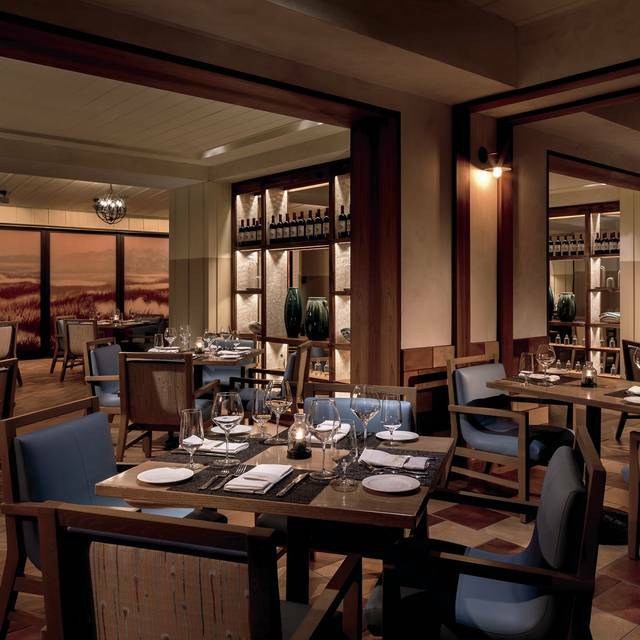 This all-day dining experience begins with an extensive breakfast buffet, while the afternoon and evenings feature the finest Italian cuisine. Hostesses were charming and greeted us by name. Our favorite person James was also at the restaurant to help out. He is usually in the Grill Room so it was a treat to see him at Terrazza. Our server was very attentive and our meals were delicious. It was lovely! Our dinners were delicious, and server was delightful. All of the staff was great, in fact. Dinner cold not have been better. Everything was great. the fare was excellent and surprising priced within reason. We sat outside and the surroundings were lovely and peaceful. Fabulous food and wonderful service. Unique Italian menu and Matt the bartender provided perfect wine pairings. Family friendly and both indoor and outdoor lovely seating options. True Ritz Carlton quality in every aspect! My wife and myself had sea bass and it was outstanding! Might have to go back fairly quickly to have it again . We had great service and the food was delicious! Our kids enjoyed the kids-only buffet options which made ordering easy. My husband had the sea bass and I had the pappardelle pasta. Both very good and would order again! Pretty place to sit outside and great food! Dirty Martini wasn’t bad either ha! The whole Carlton experience is a must! The service and attention is superb!! The restaurant follows thru with top notch service, quality and selection for a fabulous experience!! What a fabulous experience! Outdoor patio dining in a beautiful garden with soft lighting. Open air feel with all the doors open even for indoor dining. Service was exceptional- true Ritz Carlton standards. All of our food was unique and delicious from the artistically displayed appetizers through the salads, entrees and desserts! All were amazing! Even a kids buffet made all feel welcome and relaxed. 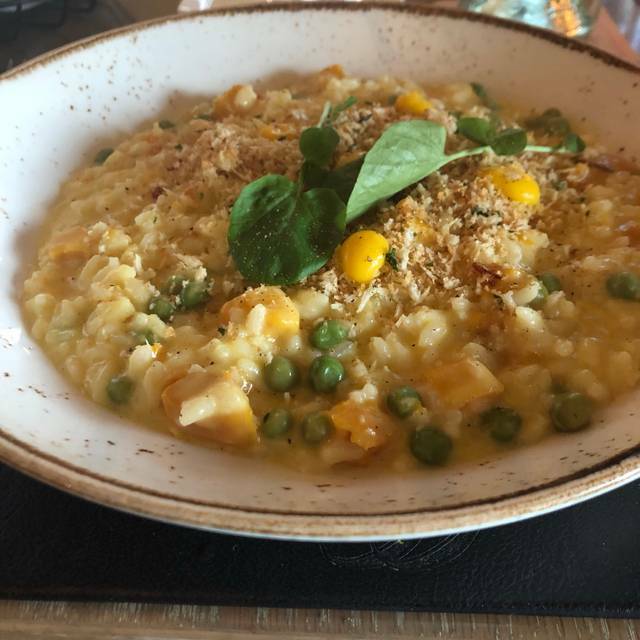 Definitely a must for Naples dining! We had a wonderful evening at Terrazza with our niece, her husband, and their 12 month old baby. Everything was just perfect. We were seated promptly, our waiter was incredible, the food outstanding, and the vibe was fun and lively. If you go make sure to have the parpadelle pasta with mushroom and truffle oil. I am still dreaming of this dish! The lemon ricotta cake for dessert was to die for too. I can’t wait to return. We had an outside table. It was a little humid because it was raining but inside was so noisy that we would have found it very unpleasant. Waitress was excellent, food good. only if you have children. too close to the pool. but food was delicious! Excellent service. Food was delicious. Would definitely return anytime. Amazing service. The server was attentive and engaged in meaningful conversation. Didn’t hover and allowed to me to thoroughly enjoy my food. Enjoyed very much. One suggestion, a little more candle ambiance on tables. Lights above were half lit on one side only. Hard to read menu. Absolutely one of the best meals we’ve ever had! All four of us enjoyed different dishes which were superb! Thank you! We have never been disappointed! 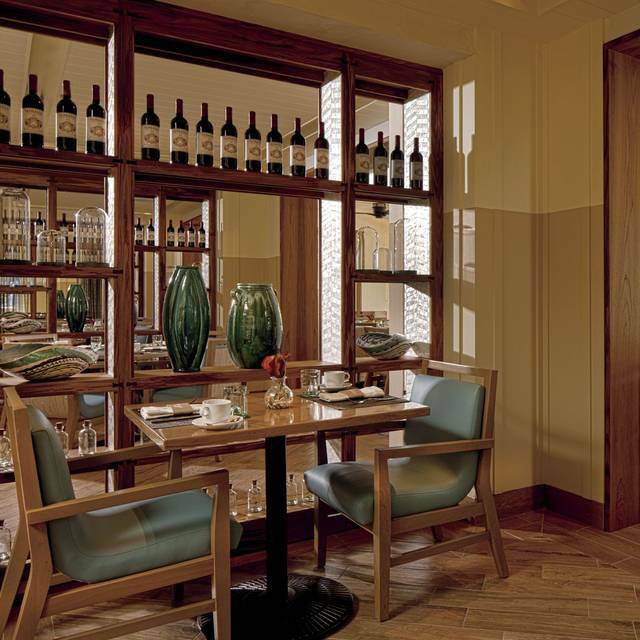 Terrazza is our go to for fine Italian cuisine. It’s also a plus that it’s located in one of the nicest hotels in Naples! Excellent service from the moment we were seated. Delicious home made pasta choices were great. Lovely location sitting outside amongst the gardens facing the sunset. Although you cannot see the sun set from this location the sky is very pretty. Food was very good and reasonable cost for being at the ritz. Service was lovely. Enjoyable evening and we would go back. Not overly impressed with the food. My iced tea tasted as if it was not fresh. Champagne was below average for me. I remember when they served an inexpensive champagne with a label Gruet. Now, It is in my refrigerator on a daily basis It was the Ritz that introduced me to it! Our main course can out soon after our appetizers. We had barley started them. We had to send our main course back until we were done our appetizers donut wouldn’t get cold. The food was substandard. would have never expected that of a Ritz Carlton restaurant. The presentation of the food was terrible, we had the Gnocci, totally tasteless, little sauce hardly any meet, 2 slices of cheese - how bad can it be! Will never go there again, there are too many good restaurant in Naples! However the lobby restaurant where we had appetizers was great as expected. If you have proper working management you really need to do something about that Terrazza restaurant. Had a wonderful dinner sitting outside at Terrazo. Our food was delicious and the service was top notch...great birthday celebration for my husband....kudos to terrazo for a grand evening! Great food and the service was fabulous! Hard to get reservations anywhere tonight but was so happy with our choice. Nice outside patio. Inside much more loud. Wait staff was a little slow on checking with us during our dining experience. It was acceptable but still not as attentive as I thought it should be. Much better to me although mine is better. 80th birthday for mother in law. Server brought us out a birthday cake. Nice touch. Can't say enough about how wonderful the food was. Had a wonderful evening celebrating New Years. They should not do that for a new years eve dinner in the Ritz-Carlton. The price is much too high and the service is amateuristic. Next year I go elsewhere. Asked for an outdoor table and was told no, yet when we finished our meal still plenty of outdoor space. Waiter was way into the menu more than me. Dont need a 15 minute talk about 3 entrees. Would not go back. Got seated right away, took about 5-10 minutes for our waiter to bring us water even though the restaurant was about half full. Entree’s where brought out pretty quick. Waiter was attentive after the initial visit to our table. As far as Italian food, it was good but not great. Ambiance was lackluster for being in the Ritz Carlton. Would I go back again, probably not, but not for any other reason that there are better Italian restaurants in the area. Although it was delicious and festive (Christmas Eve dinner), we had no idea it was going to be a prix fixe menu. We had thought we would have more freedom to order different meals. Other than that, it was a wonderful night. We wish we could have been informed of this change.